Happy New Year, friends! 2016 has been a big one around these parts both personally and on this site–lots of growth and change, a few challenges, a bunch of laughs, and always, always a hefty dose of heart and hope. 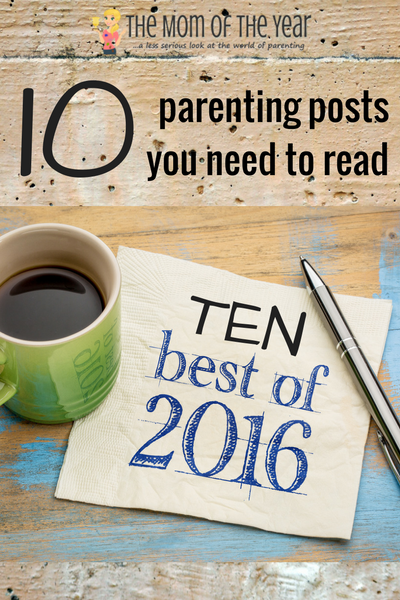 As you settle in to do some reflecting on your own year and new goals for the next, take a minute to join us for a sweet look back at the top posts of 2016–the ones that made us giggle, made us think or made us feel while hitting a few resonant chords for those of us rocking this parenting gig. From the get-go of the year, The Mama’s Job had my heart–because the story I tell in it explains how my heart found peace with all the challenges my son faces. Who knew? People like to get organized! And thanks to 6 Command Center Essentials we gave them an easy way to run herd on the school stuff mess. People also like to read, and 20 Books that Belong on Your Summer Reading List was a huge hit with lots of great titles that are still getting buzz beyond the summer months. This was THE year, the year that our beloved Gilmore Girls came back to us, and we celebrated it with this fun A Gilmore Girls Quiz for Superfans to see how much fans really know! We delved into the hard topic of how to talk to your kids about loved ones who are no longer here while I shared my very real, personal experience with losing my mother in I Want Them to Know Her. As it turns out, this parenting gig is a tad tricky, and the encouragement in You’re Doing it Right proved to be something I needed to hear perhaps more than anyone. Speaking of encouragement, I wrote I Saw a Mom in the Grocery Store for any mama warrior who’s ever braved the grocery store with kiddos to remind her that she is, indeed, a WARRIOR. Our readers like to encourage others too, and when How to Love a Friend Through the Loss of Infertility published, the response of gratitude was overwhelming. When the end of summer rolled around, I somehow lived through A Real Life Back to School Shopping Survival Tale and found loads of solidarity with my lost sanity and 16,000 bags of pencil cases. And then we wrapped up the year with a story I love because it is not only so precious to my heart, but because it captures my son’s precious heart as well: How My Son Won the Turkey Trot is by far my favorite post. Friends, thanks for being here. Thanks for reading our words. Thanks for supporting us by checking in on these top posts of 2016 and always. As we pour heart and soul into everything we publish, this means more than you know. As you look back through your own year and plan for the next, know that we are very grateful to you for being part of our year. Here’s raising a toast to a very happy 2017 for all of us! I loved the one about the mom. Also, anything to do with Lorelei? Golden. Even as much as the post that I won the the infinity jars from. Happy New Year, Meredith! Ah! I think the Grocery Store post was my favorite one this year. 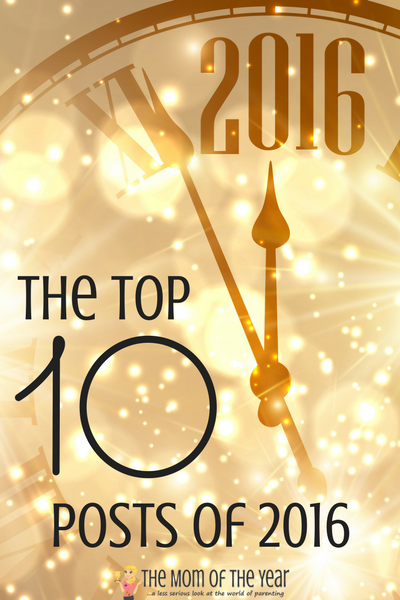 I’m thrilled to see it made the list!